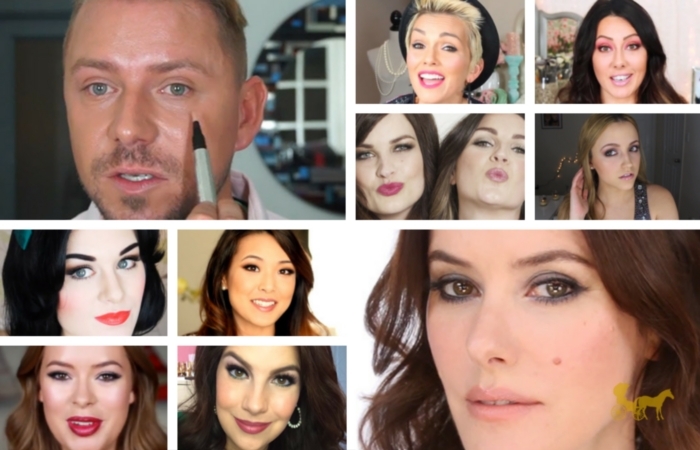 A few favorites and their channels: Wayne Goss of GossMakeupArtist, Emma Pickles of EuphoricCreation, Jen Chae of FromHeadtoToe, Tanya Burr of TanyaBurr, Emily Noel of BeautyBroadcast, Kandee Jhonson of KandeeJohnson, Marlena Stell of MakeupGeekTV, Nic and Sam Chapman of Pixiwoo, Kathleen Lights of KathleenLights and Lisa Eldrige of LisaEldridge.com. With the surge of the popularity of Beauty YouTubers, Gorgeous Brand Ambassadors and Beauty Bloggers and Vloggers a lot of people (now more than ever) are now experimenting and expressing their creativity through makeup. I know a lot of people buy makeup that they "saw in this particular video" or "read on this particular site" that they don't know how to properly utilize because they don't know where to even begin. Click on the image or here to register! 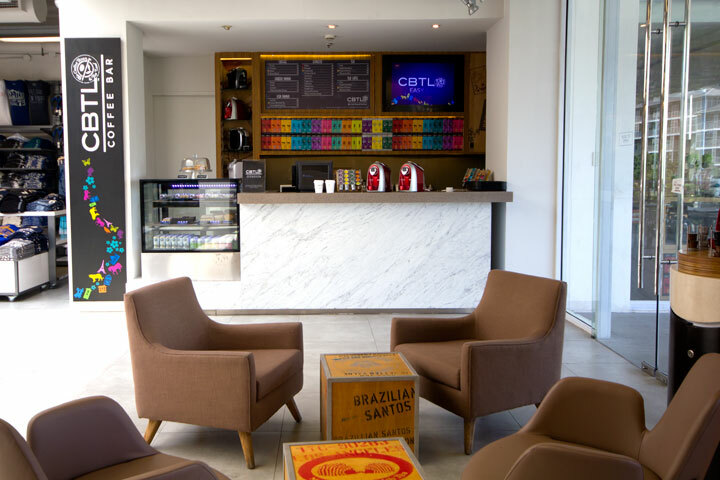 This November 14 at The CBTL Showroom, Bonifacio Global City from 1:00pm - 4:00pm, consider your questions answered by Gail Sarion in partnership with Speedy Course. 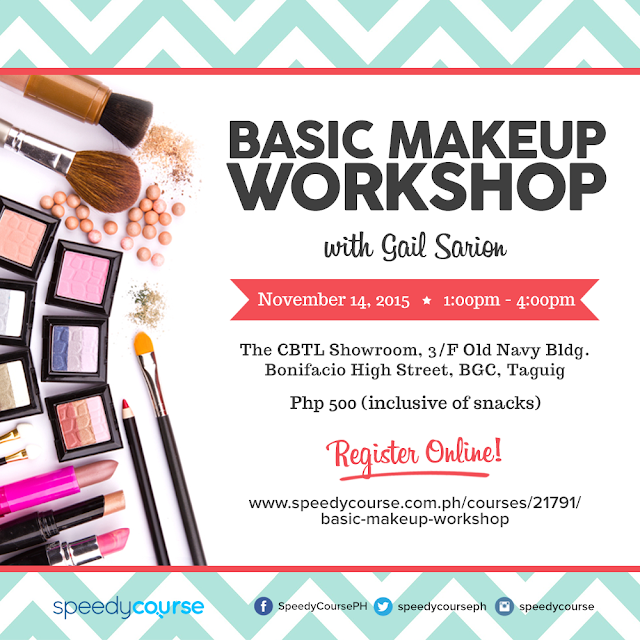 She'll be showing and guiding you on how to do basic makeup and how to use the existing things in your kit through a consultation! Your makeup kit with makeup (really want to know how to use). Optional : Camera for Selfies/Groupfies/Documentation! Gail Sarion is the Chief Make-up Artist for Sarion Films (an independent production company), In-house Stylist for Alabang Town Center and Make-Up Workshop Facilitator for corporate personal development programs. She is also a freelance make-up artist for all types of events. SpeedyCourse is an Online Course Finder. By bringing together training course providers who specialize in different fields, SpeedyCourse continues to build its vast database of short courses, training, seminars, workshops, and learning events.